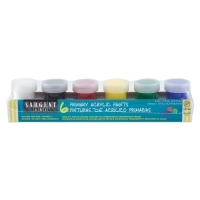 Use these brilliant, permanent acrylic colors for hobby or craft projects. They are perfect for home or schools. 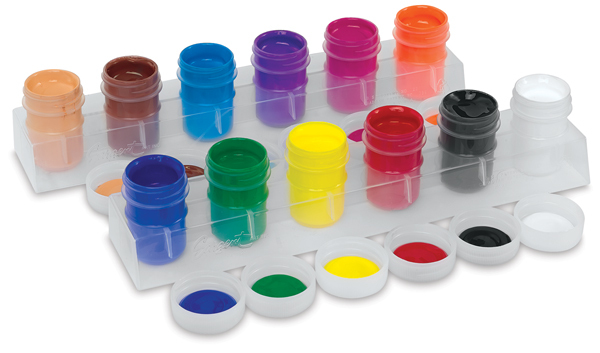 The refillable pots keep paint neat and organized. All colors are intermixable. Basic Colors — Colors include Yellow, Blue, Green, Red, White, and Black. 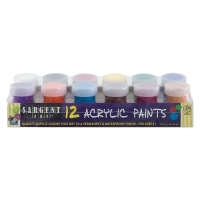 Basic Colors, Set of 12 — Colors include Yellow, Blue, Green, Red, White, Black, Violet, Orange, Brown, Magenta, and Turquoise Blue.